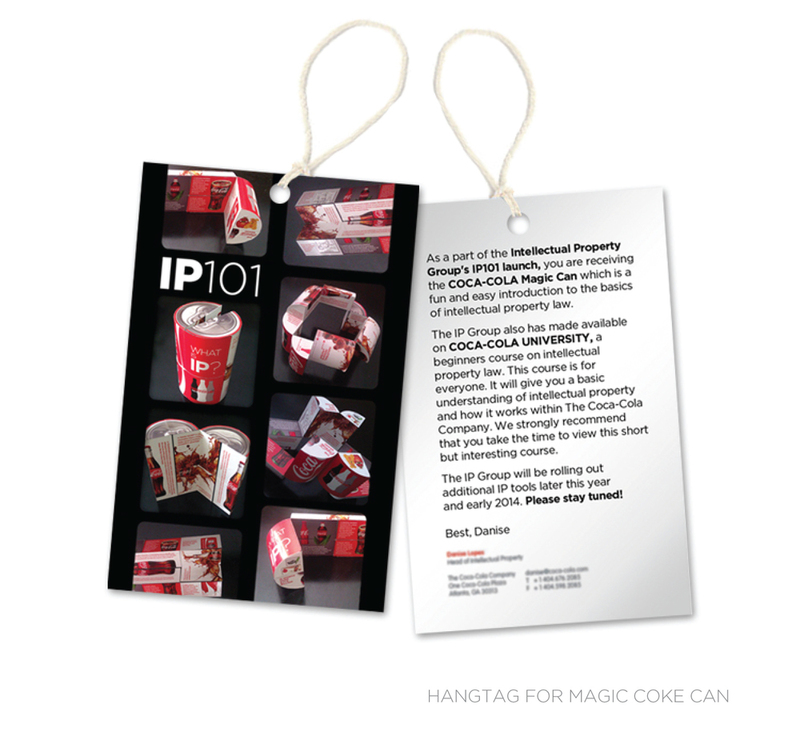 HEBO and The Coca-Cola Company (IP group) partnered up in late 2011 to work on a two year Global IP education program. This program was to teach the 5000 corporate employees in offices around the world the basics of Coca-Cola's Intellectual Property and enlist their help to protect the brand. The tools ranged from a 'Magic' Coca-Cola can and online game; to email blasts and presentations worldwide. The goal was for each employee to walk away with not only a new understanding of Coca-Cola's Intellectual Properties but how important they are to protecting The Coca-Cola brand. The program was deemed a huge success (although I am not able to show the majority of it due to client confidentiality)!